The government pays 35,000 leva to a convict after a complaint against his former boss! NewsThe government pays 35,000 leva to a convict after a complaint against his former boss! 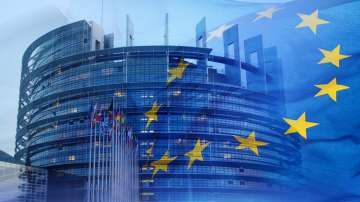 The government will pay 35,000 leva per citizen after agreeing not to continue the case filed at the European Court of Human Rights (ECHR) in Strasbourg. Alexander Nikolov filed in Strasbourg infringement complaints his right of expression, as has been condemned by his former employer - the head of the National Statistical Institute (NSI), having dared to take before proceedings against him. The case was almost 20 years ago when Nikolov was the director of the NSI publishing house, and in 1999 the then head of the Institute, Alexander Hadjiyski, dismissed him. Nikolov challenged his release and the court restored him. In 2003, he tried to get back to work, but was refused because the publishing house was already closed and the work was entrusted to a private firm. Nikolov brought a case for non-execution of a court decision against Hadzhiyski under Art. 172 of the Penal Code as he refused to return it to work. The former head of the NSI was acquitted by the court, saying that at the time when Nikolov wanted to be reinstated, Hadzhiyski was in hospital. The officer did not specify the exact time and place of the alleged offense, and thus Hadjiyski could not exercise his right to protection. The former head of the NSI then filed a signal against Nikolov because he was convicted of a crime, but the prosecution refused to start an investigation. Hadzhiyski, however, brought and won a lawsuit for tortured damages against Nikolov, claiming to be compensated by BGN 11,000. City Court ruled that Nikolov undermine the credibility and reputation of Hadjiiski as President of NSI, caused him mental anguish to the maintenance of illegal charges after he knew he was innocent, as fully upheld his claim. His decision was first amended and the indemnity reduced to 2000 levs from the second instance, but the case was returned by the Supreme Court of Cassation (SCC). The appellate court then fully confirmed the decision, and in 2009 the SCC did not allow a cassation appeal. Nikolov paid about BGN 20,000 to Hadzhiyski with the interest and costs of the case, and then filed an appeal in court in Strasbourg. "Taking into account the case law of the European Court of Human Rights on such cases, the Bulgarian Government concluded a friendly agreement with Alexander Nikolov, on the grounds of Art. 39 of the Convention, agreed to pay the applicant proposed by the Court a sum of 6500 euros and 22 246.95 lev for damages and costs incurred and expenses and thus put an end to the case ", announced today by the Government Information Service. The case with Alexander Nikolov is not the only one in which citizens complain about their boss or a civil servant in a responsible position, and then they are convicted of defamation. Two years ago, the ECHR merged several similar cases against Bulgaria, for which the state was ordered to pay damages. The government pays 35,000 leva to a convict after a complaint against his former boss! The government pays 35,000 leva to a convict after a complaint against his former boss!